Google now translates text and web sites from 57 languages to Haitian Creole and vice-versa. Now translating to and from Haitian Creole is easy. 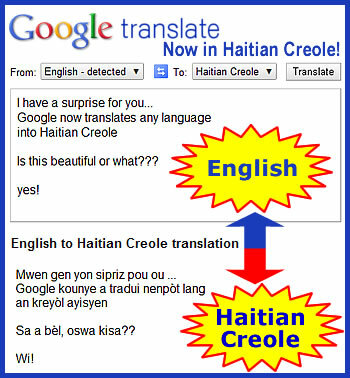 New on Google - Translate Haitian CREOLE in 57 Languages!